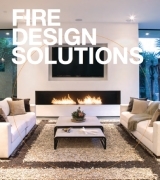 Our collection of eco friendly fireplace grates are a great way of rekindling a closed off open fireplace, or creating a unique fireplace feature - without the fuss. 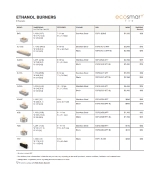 Transforming an existing wood burning fire into a clean burning ethanol fireplace is easy. Simply attach the grate to a level platform with our easy fitting system and fill it with liquid bio-ethanol. Then sit back and relax. 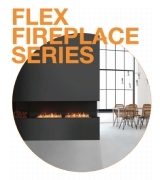 Simply place your fireplace grate within the existing (or newly constructed) fireplace setting and then fill with environmentally friendly, readily available e-NRG bioethanol. Increase efficiency of a traditional fire conversion by closing the dampener or blocking off the chimney with a metal plate. Powered by clean-burning renewable energy, bioethanol. Doesn’t produce any smoke or dangerous gases. Each grate is constructed from durable, rust-treated steel and finished in a chic black Teflon coating. No longer the exclusive domain of expert interior designers, converting an old fireplace or fashioning a new one couldn't be easier with EcoSmart grates. 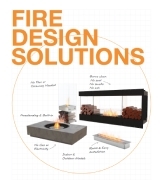 Ethanol fires don’t leave any carbon residue, so are incredibly easy to keep clean. Just wipe them down with a damp cloth every now and again.